Spoil drink? That's the limit! Spoil drink? That's the limit! is a crossword clue for which we have 1 possible answer and we have spotted 1 times in our database. 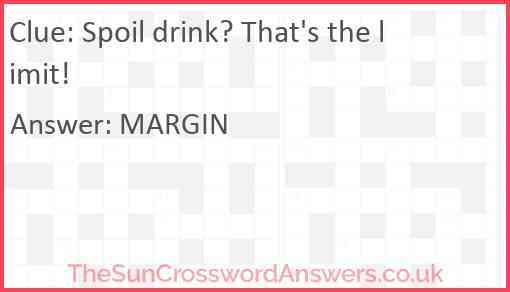 This crossword clue was last seen on 14 February 2019 in The Sun Cryptic Crossword puzzle!